If you follow me on Facebook or Instagram, you may have noticed a few posts about my hair. See I struggled with brittle, breaking hair for years, and finally, about a year ago I started working on getting stronger, healthier hair.. which has been great. Except for one thing… I do not know how to FIX long, thick hair. Thankfully I have friends like Independent Lilla Rose Consultant Kathleen Coffee who offers gorgeous hair accessories that give me beauty and sparkle… even when I have no idea what I am doing. I am a huge fan of Lilla Rose and I actually wear a set of U-Pins every time I work our coffee shop. 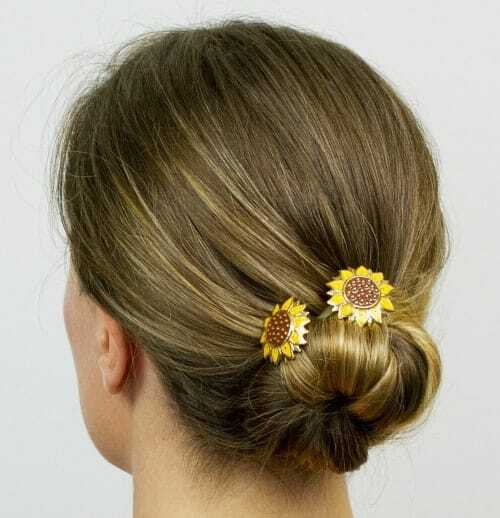 They are perfect for putting all this hair up in a bun in seconds. 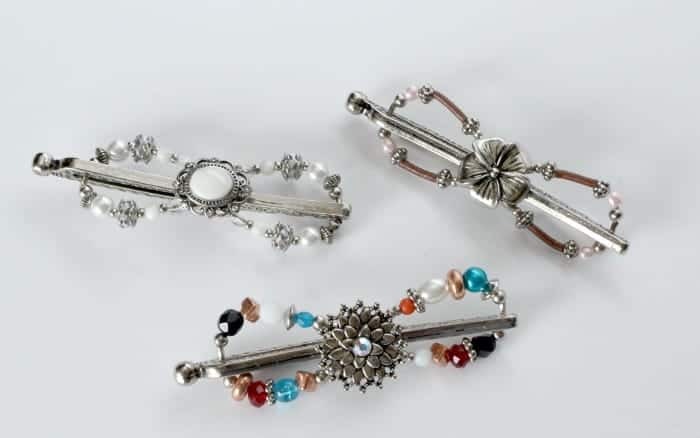 The real stand out product for Lilla Rose though is their Flex-Clips. These amazing little things are as functional and easy to use as they are stylish! 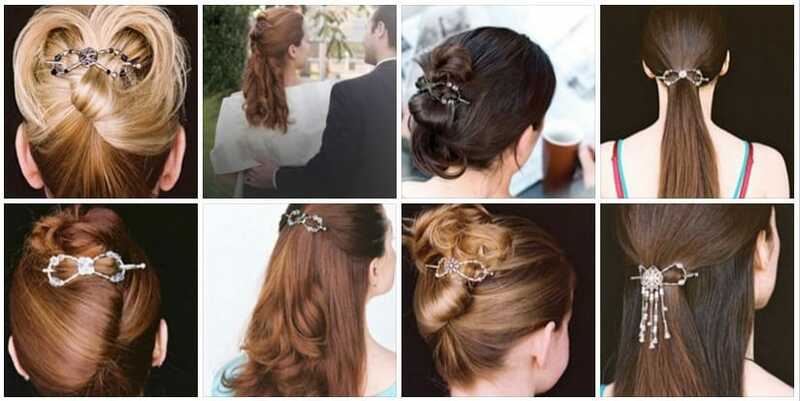 They have literally dozens of designs and can be easily dressed up or dressed down depending on your occasion. Flexi-Clips come in several different sizes (yay I finally need one larger than the smallest one!) and can be as simple as a little silver star or elaborate with hanging jewels! Kathleen sent me a couple of her favorite Flexi-Clips for inclusion in this year’s Mother’s Day Gift Guide. Now I have featured Lilla Rose a few times before, and what I am always impressed by every time I review them is their quality and how unique each design is. These three are all so beautiful – the pictures never do them justice – but I love that they are all completely different! I can see each one being perfect for a different occasion and matching a different outfit! Lilla Rose offers beautiful, unique products, exclusive hostess benefits, and a generous compensation plan for their Consultants. Whether you are needing to tame your tresses like yours truly, want to have a fun party with you and your girlfriends doing each others hair (hey – remember those from high school!?!) or you are looking to start your own fun business, Lilla Rose is for you!